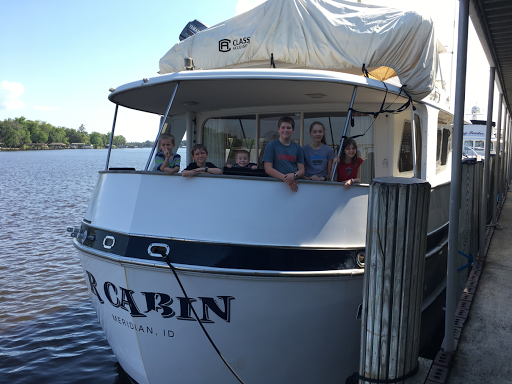 For several years we traveled aboard our motor yacht RCabin but sadly it's time for us to part ways. She's officially listed for sale. With kids in high school attending charter schools, it's gotten harder for us to leave for months of travel. We feel the expense of storing her and keeping her up could be spent on other travel adventures. We enjoyed our time traveling the Caribbean and are a little sad to say goodbye. But we look forward to the next adventure in our lives. We are still traveling, just not by boat for awhile. On our road trip we drove out to Jacksonville for the kids to see her one last time and say good bye. We take with us amazing memories and experiences that have shaped our family.